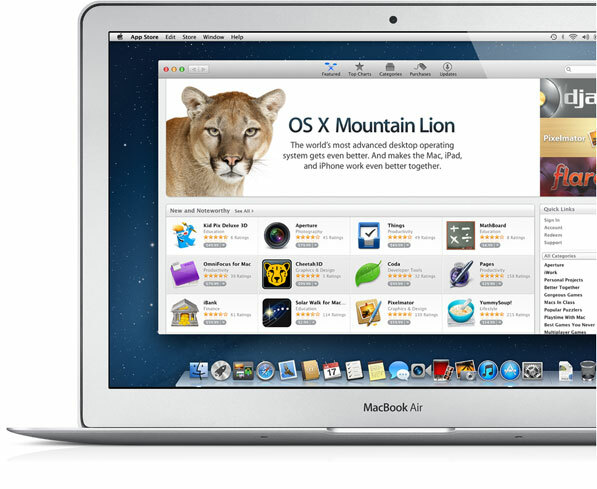 In their earnings call today, Apple announced that they will be releasing the next version of OS X, dubbed Mountain Lion, on Wednesday July 25th. OS 10.8 will be sold in the Mac App Store for $20 (American), though people who have bought Mac’s since June 11th will be given a free update upon request. Apple says you will need at least 2 gigs of RAM (though I advise at least 4 gigs), at least 8 gigs of free hard drive space (again, I recommend more, maybe 20 to be safe), and an Intel Core 2 Duo processor. Your Mac also needs to be running Snow Leopard 10.6.8 or any version of Lion, though it is advised you have the latest version of Lion to be safe. To check if you have all of the requirements, go to the Apple logo in the top left-hand corner of your Mac, and select about this Mac. This will tell you how much RAM you have, what version of OS X you are using, and what processor you have. If you want to see what model or year number your Mac is, download the free Mactracker and find out. There are some things you can do to prepare your Mac for the upgrade, so here’s a rundown. 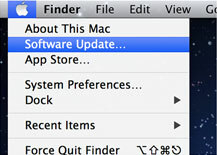 all of your apps are up to date, as most of them should have already been upgraded for Mountain Lion compatibility. For any apps you bought outside the Mac App Store, for example Chrome, Firefox, Adobe Flash, etc. Most should have built-in update processes that should at least notify or let you check for updates. Make sure you run all of them. You could also use a third party tool to check for updates, like Cnet Techtracker or AppFresh. Apple’s upgrades usually go smoothly, but it’s not uncommon for some people to have problems. That’s why it’s best to have a backup of all your personal stuff so that you don’t risk losing it. Even better is a bootable backup to restore from, which you can create with a tool like SuperDuper or Carbon Copy Cloner. The key part of this is to make sure that your backup works as well. So if you’re using an external hard drive, for example, make sure you can access the files by plugging it into your Mac or another Mac and opening some of the files. If you’re using a bootable backup solution, make sure you can boot off of your Mac; you can do this by plugging in your external hard drive, restarting your Mac, and holding the “Option” key when the Mac starts up. Then select the external hard drive and if all is well, then your Mac shoot boot up from the external hard drive. with permissions, run the “Verify Disk” protocol. It should return with an “OK” message, but should it not then hit “Repair Disk”. If the repair function cannot fix any problems with the disk, you will need to boot into the recovery partition (Lion user, hold the Option key down at boot) or run your recovery disks that came with your Mac (Snow Leopard and earlier, insert the discs, restart the Mac and hold down the Option key at boot). 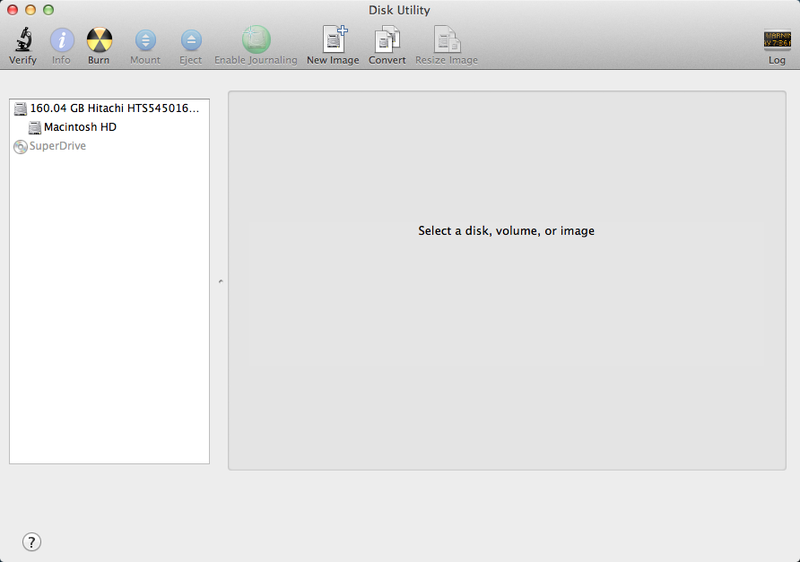 From here, you will need to run the disc’s/partition’s Disk Utility or reinstall the OS. If you are using any form of an encryption tool on your Mac’s hard drive, such as the built-in FileVault, TrueCrypt, or any other similar program, you will need to remove this. Encryption can cause problems for the update process when the Mac needs to reboot. Encryption can be re-enabled when the update is done, but for the actual update process it needs to be removed. Some of you may just want to wait a few weeks before upgrading, especially those who run servers or high end apps like Adobe, etc. This will give others a chance to find bugs between the new OS and any other major apps and you won’t get bitten. Likewise it means these bugs will be taken care of by the time you do decide to upgrade. For the average user, however, as long as you follow the above steps then you should be fine. If you have any questions, comments, or suggestions about this or any other topic, leave a comment below or email us at easyosx@live.com You can also check us out on Facebook, Twitter, and YouTube by hitting the buttons on the top of your screen. And be sure to check us out on Google Plus. Thanks!